Welcome me to this week’s workout schedule! It’s a great week to set some goals, and make them a reality. On the agenda this week, we have six workouts and one rest day. Each workout can be done once, or repeated up three times. Push yourself outside of your comfort zone, while also listening to the signals of your body. The workout playlist is above, or you can find the individual workout breakdowns/videos below. 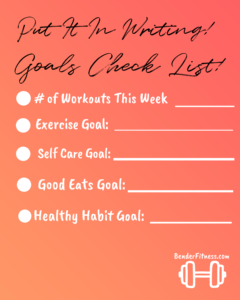 Set your goal number of workouts for the week, and keep a workout log. Tracking your progress will help keep you accountable. Putting your goals in writing can help you to successfully achieve them. Please tag me in your workout photos! 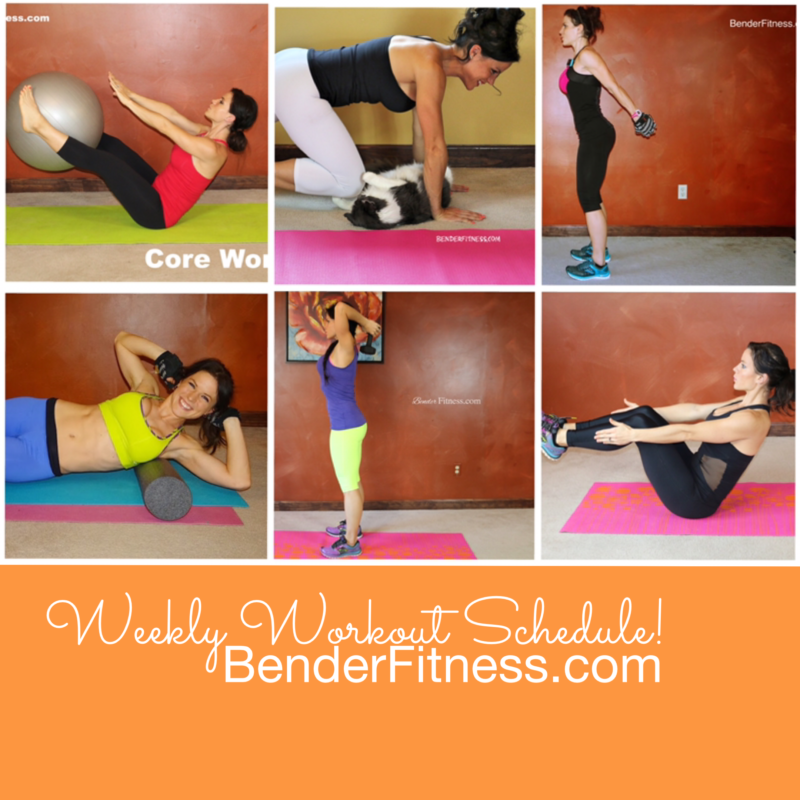 I love to see you doing Benderfitness workouts so I can cheer you on. Being a part of an online fitness community can help you stay on track!